I’m extremely honored to be part of the first annual Fierce 50 Campaign, which launches today on the 50th day of the year. As women over 50, we are coming together today to honor and celebrate one another and to show the world that turning 50 (or 60!) is a time of new beginnings. I just turned 60, so this is the perfect time for me to celebrate with other women the new beginnings we have ahead of us. The biggest message I want to communicate through the Fierce 50 movement is this: Rather than seeing the 50+ stage of our lives as a decline, we should actually recognize it as a powerful time to start something new. We have all the experience we need to tackle any challenge with fierce confidence. I’ve always believed that it’s about progress, not perfection. And by that measure, as we’ve been progressing day after day and year after year, we are only getting stronger and better with age! At every age, but especially now, it’s about accepting life’s sometimes harsh realities and rising above them. We’ve made it through a lot to get where we are today. We’ve risen to every occasion that life’s thrown at us, and we’ll keep rising to every new occasion. We can conquer it all. That’s what I want everyone to take away from the Fierce 50 Movement. It’s why I created LifeFit and it’s what I talk to women about every day. We’re stronger together, and when we stand together, united, we send our message of fearless confidence and new beginnings to the rest of the world. This is my Fierce 50 story, and I am so excited to share it with more and more women through LifeFit. 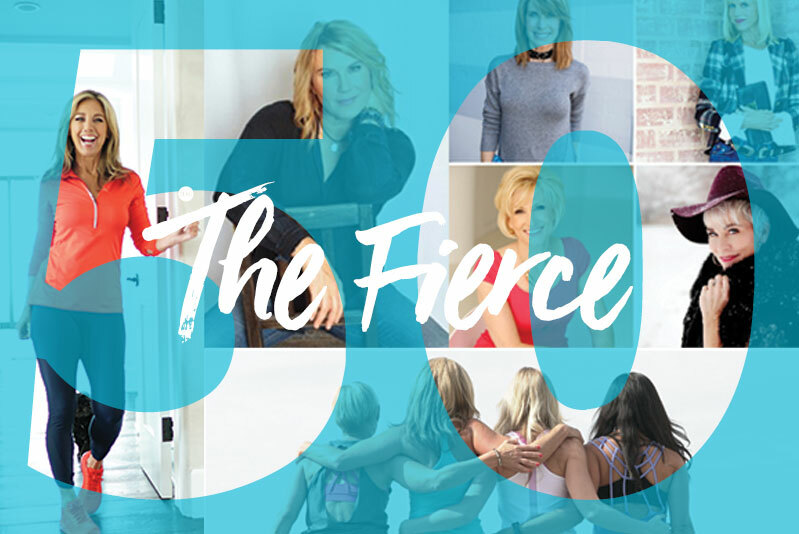 Join me and so many other Fierce 50 women! We’re sharing our stories and strengths to make sure our voices are heard loud and clear. What’s your Fierce 50 story? Share with our community in the comments below—because we’re fitter together, and as you know if you’re part of LifeFit, that means so much more than physical fitness. Let’s get started, whatever your new beginning is. We can do it all!